I’m happy to finally host another giveaway. Since I’ve been so busy last month (I guess you notice from my rare posting) I haven’t had time to host as many Giveaways as I wanted to but I will make it up to you this month. This special giveaway will last the entire September month, will end on 30 September 2010 and I will announce the winners on next day 1 October 2010 by updating this post. How to Enter! Please Read! This Giveaway is dedicated to September’s Top 10 Commentators which are shown on the right sidebar. So, basically if you are one of Chicprofile’s frequent commentators your name will appear on the Top Commentators list with the numbers of comments you made. I will randomly pick 2 winners from the Top 10 Commentators List and from these two the one with the most comments will get the First Prize, leaving the Second Prize to the other one. This means that you only have to be among the Top 10 Commentators so you can have a chance to win one of the two prizes. As many of you already know, for this Giveaway we will have 2 Winners! Check out the prizes for 1st and 2nd place! How will I know to contact you! Everytime you leave a comment to one of the articles that you read on Chicprofile please enter a valid e-mail address in the e-mail address box so I can contact you when the giveaway is over. If you have any questions please fell free to post them on the comments bellow and I will answer you as soon as possible. The winners are Marcia F and Sonia! Thank you all for participating on September Giveaway! The Illamasqua set looks amazing! “This special giveaway will last the entire July month, will end on 30 September 2010”. Did you not meant Semptember instead of “July”? You’re giving me heart palpitations with these awesome giveaways of yours!! I loved everything….and I love reading your blog everyday!!!! I am really excited about trying to win this. 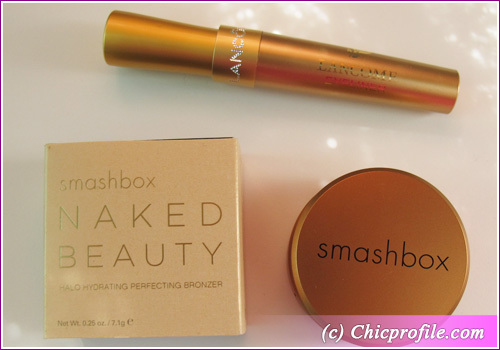 I have been wanting to try out the new smashbox bronzer for awhile. Wonderful prizes. Did you ever announce the July winners? I want to host these Giveaways every month. I’m happy that you like the prizes. Good Luck! Love the Illamasqua stuff! Again a great give away! 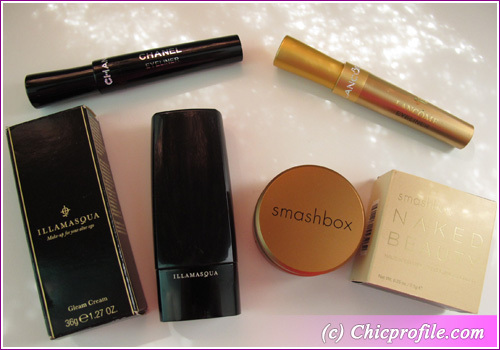 i love the chanel eyeliner.. the lancome the smashbox… all of these..
Im here again, looking these prizes…so awsome!!! TKS Tavia, you are so kind!!! i want to have them… i will keep on commenting and suggesting hehehe.. i love itt..
Hi Tavia, Im back on this beautiful monday, and Im reading your amazing blog and dreaming about this super giveway! Hello, Here Iam again! Have a nice day! Hello Tavia, Im ready for the beauty news on this wed!! What would go best with my complexion? 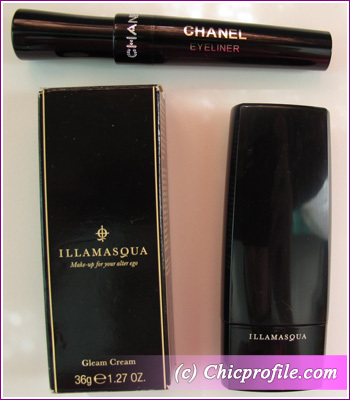 I’m the lucky one that won the Illamasqua cream and the Chanel liner. I’m so excited. I am looking forward to comparing the Chanel with other brands since I’m newly in love with these liquid liner pens. The Illamasqua is gorgeous and will be a perfect addition to a night out.